The surfaces of older homes need to be cleaned too, but they can be fragile so they may need special attention. 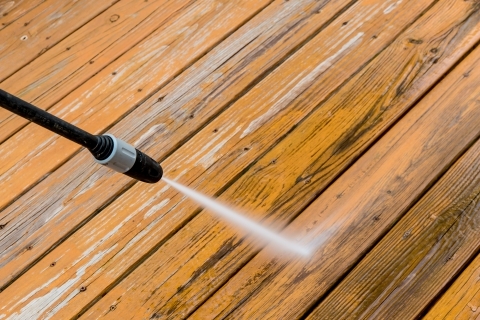 When pressure washing, it can oftentimes damage the surface as it’s cleaning because the level of pressure is too high or the wood has softened. When you’re getting ready to pressure wash an older home, follow these tips. With tougher stains, the first reaction is to put the nozzle closer to the surface. This may remove the stain, but only by digging out entire chunks of wood or mortar as well. To prevent the surface from being damaged, keep the nozzle at least one foot away at all times. Some commercial pressure washers are too powerful to be used on older homes, especially wood homes. These are fine for driveway cleaning but used on a wood surface, especially if there is any wood rot, can cause serious damage to the surface. If it’s possible, lower the pressure to 1500 psi and still remain one foot away from the surface. Many commercial pressure washers have an adjustable nozzle that allows you to change the flow of water from a wide fan to a single stream. Never use a single stream on an older home and use a wide fan that spreads out the pressure. 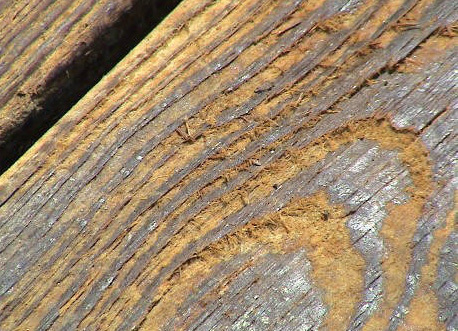 When using a single powerful stream, it can cause severe damage to a wood surface. The power of vinegar comes through again! White vinegar can be used all over the house and is a great choice for removing mildew from the exterior of the home. Spray it on with a small spray bottle and let it sit for about one minute and then use the power washer to rinse it away. If this doesn’t work, use a strong scrub brush and soap and water to remove mildew. Following these tips for power washing your older home can help prevent damage to the surfaces. Always keep in mind that if damage does occur, the cost to repair it, could be significant. In most cases, it may be appropriate to leave power washing to the professionals. Pressure washing can be a dangerous job, not only for the home, but for the user and any people in the area. For a professional pressure washing job done right, contact Palm Beach Pressure Cleaning. You can trust us to get the job done and there will be no damage to the surface. Call today to schedule an appointment.